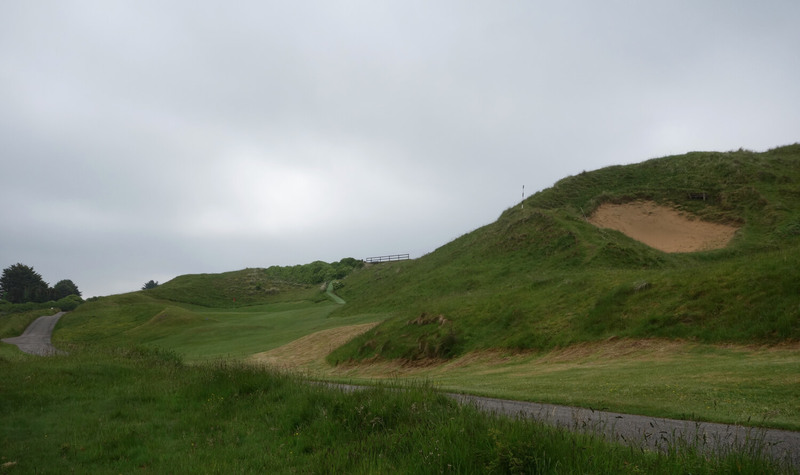 I wrote about my trip to England for LINKS Magazine, and in that article I opened with an anecdote about Tom Doak. I think it’s worth repeating here. I played a round with Tom a couple of years ago and he told me about a phone call he received from a course owner. 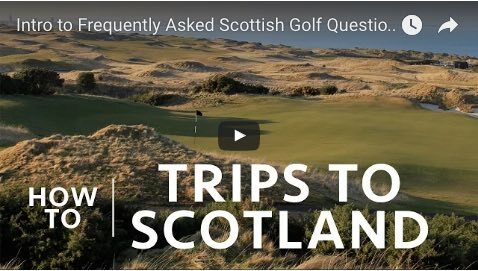 The owner asked where to go on a UK golf trip with a no-limits budget. 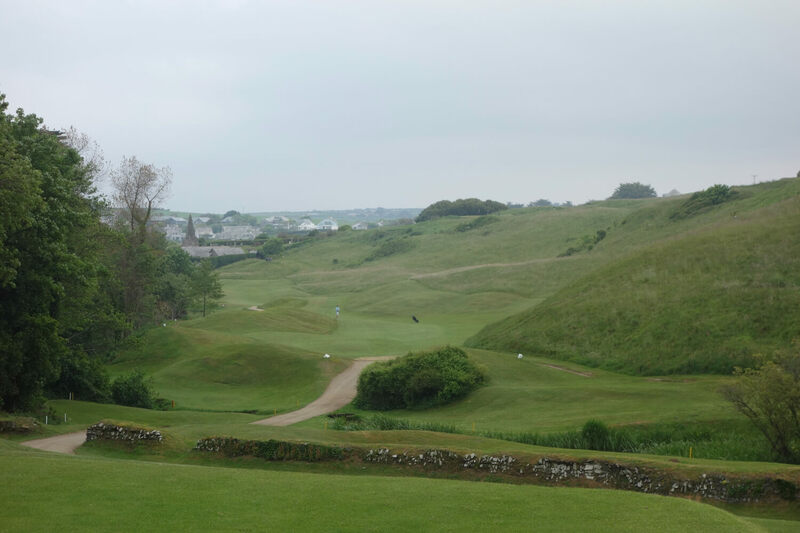 With literally anywhere in reach, Tom sent them to England’s southwest coast, and specifically to play St. Enodoc. If that’s not a resounding recommendation from one of golf’s great architects, I don’t know what is! 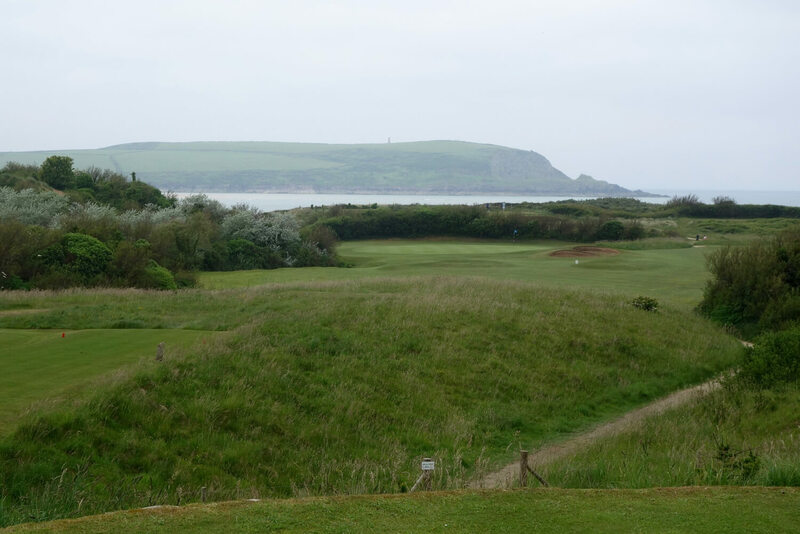 Two years after hearing that story on the golf course, I planned my own trip to England’s south coast. 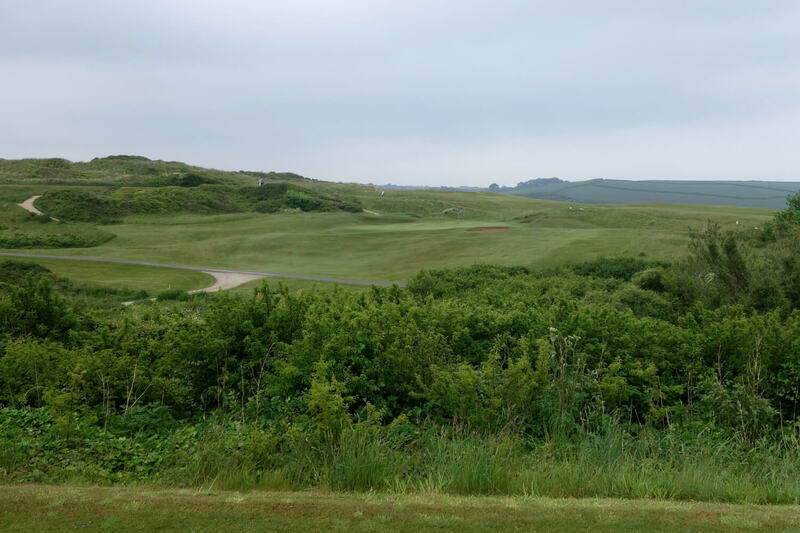 I went over with my wife (who is from the South of England herself) and we spent a week traversing the coast and soaking up the charming countryside. 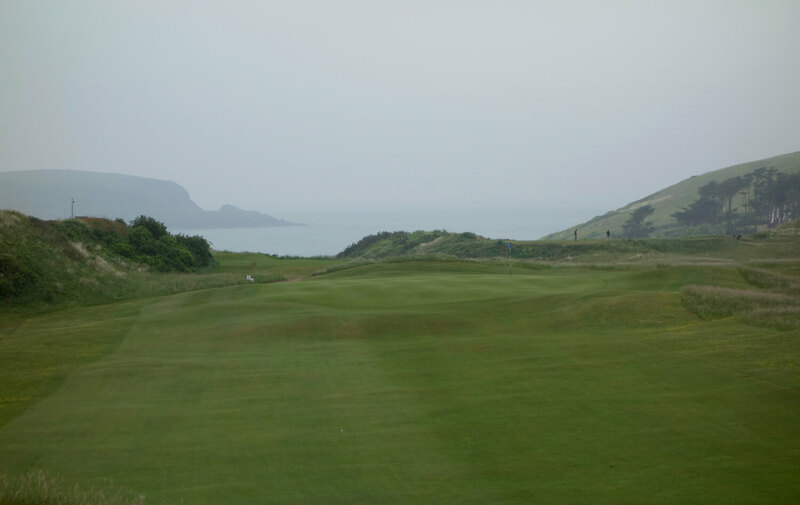 St. Enodoc was the second round of the trip and it touched on nearly everything I love about links golf. 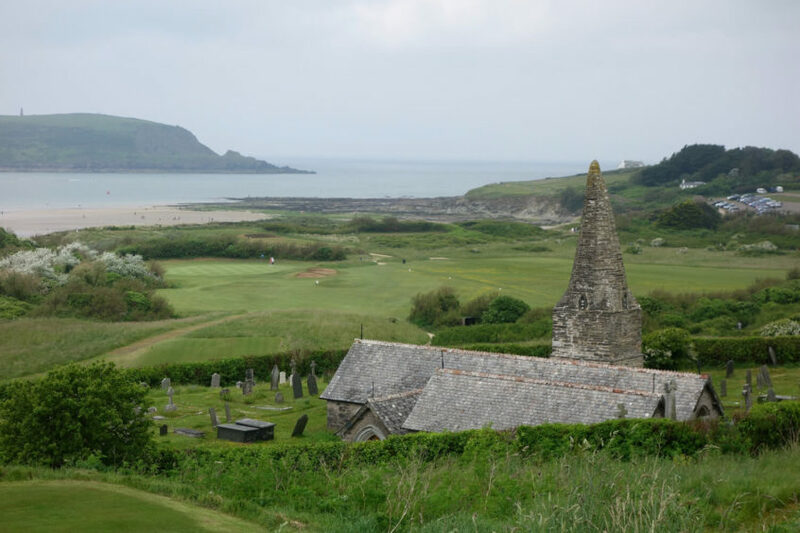 The famous course at St. Enodoc is called the Church Course, named after the 12th century church found on the back nine. The history of the church is worth a much longer read, but I’ll sum up a few centuries in a couple of sentences. The church was built in the 1100s and over the centuries storms and shifting sand dunes began to bury the structure. From the 16th century to the mid 19th century the building was completely buried underneath the dunes until a full restoration in 1864 uncovered the ancient church and stabilized the dunes. There was a period pre-restoration when the priest and congregation would enter the sanctuary through a hole in the roof once a year to have a single service. The single service was required by the church to maintain its ability to collect tithes. 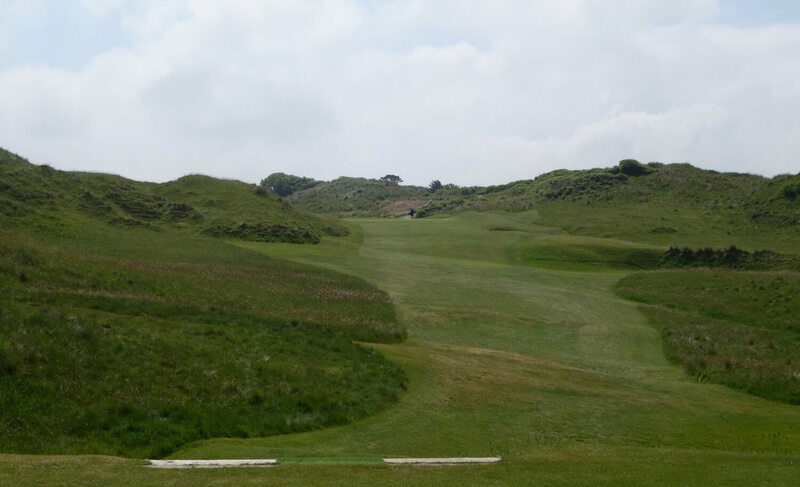 The Church Course itself was opened in 1891, but it wasn’t until James Braid did two renovations that it really came into its own. Those two visits were in 1907 and 1936, and the course hasn’t changed much since then. 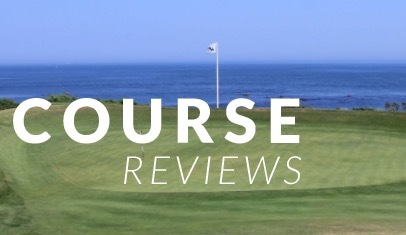 I have a category of UK courses that I call “quirky greats.” I include Prestwick, Elie, Cruden Bay, North Berwick, and others in that group, and I’ve recently added St. Enodoc. The criteria is a great course with features that no modern architect would ever build these days. 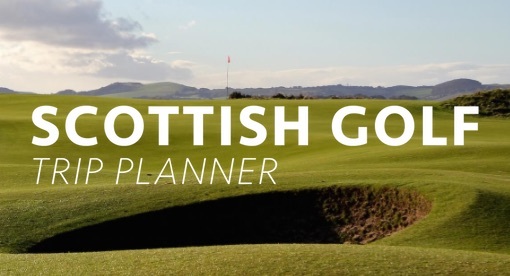 Think sunken greens, stone walls dissecting holes, crazy blind shots, and even routings around ancient churches. 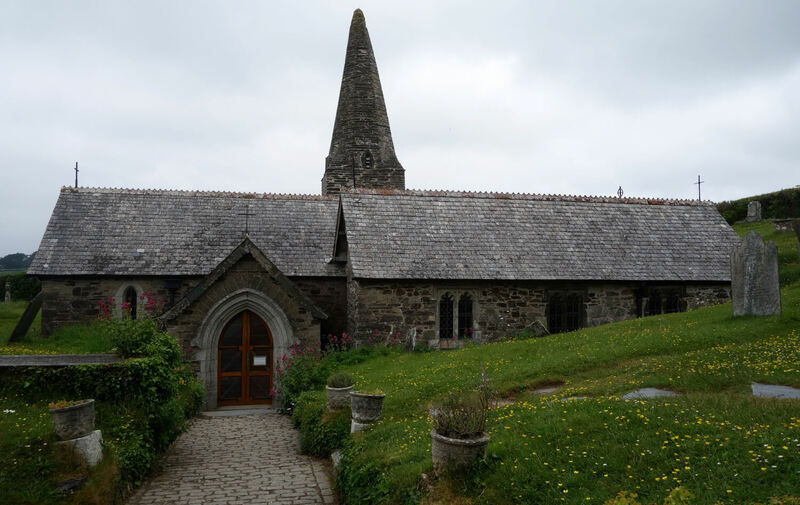 As with all in that category, St. Enodoc is a place that you could play hundreds of times without ever getting bored. 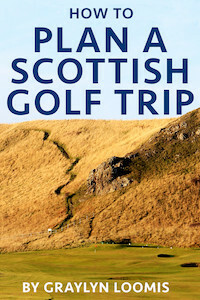 In fact, The Church Course combines some of my favorite aspects of the Scottish “quirky greats” into a single package. 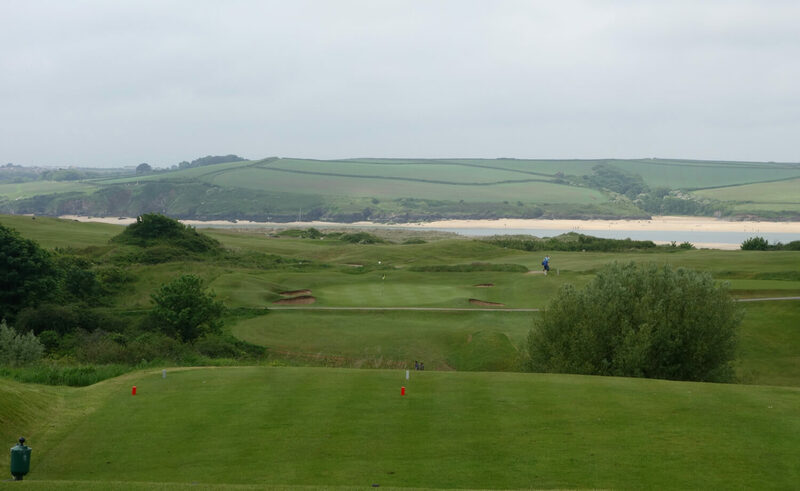 The course is quirky, hilly, and full of links charm, all the while framed by ocean views and the charming English countryside. 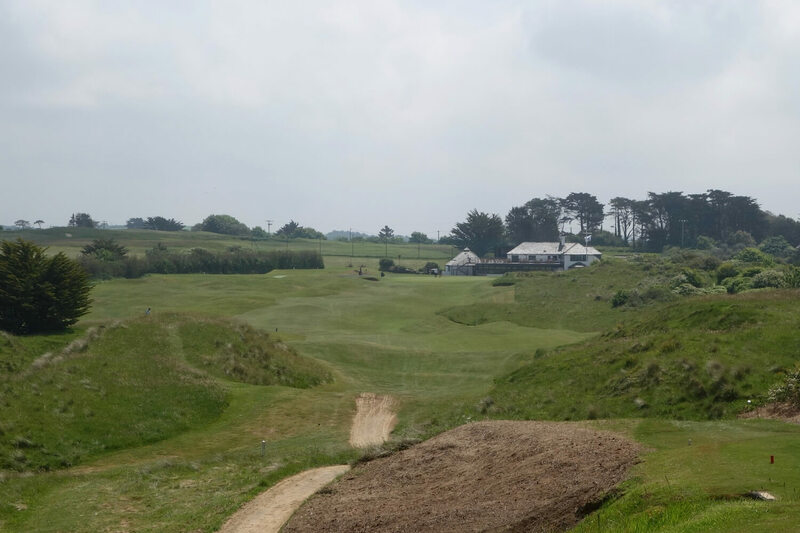 There are stone walls running across and between holes, the aforementioned ancient church, a Himalayas bunker the size of a house, and also a warm clubhouse staffed by some very friendly people! 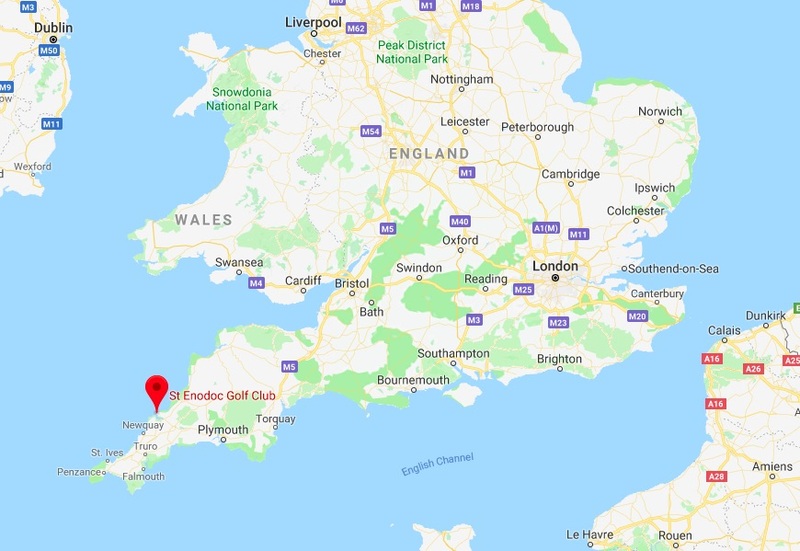 The club is located in Cornwall on England’s southwest coast. It’s a long, 250-mile drive from London and you pass some of the country’s most historic sites, including the city of Bath, Stonehenge, and more. Once you’re past many of those sites, the route becomes more rural and cities are replaced by charming villages. The roads are closely bordered by hedges and you begin to understand why this area is so popular for holiday-makers in the UK. We stayed in an AirBnB on a farm north of St. Enodoc and we couldn’t have enjoyed it more. My only wish is that instead of splitting one week between Cornwall and Kent that we’d spent a week in each… next time! 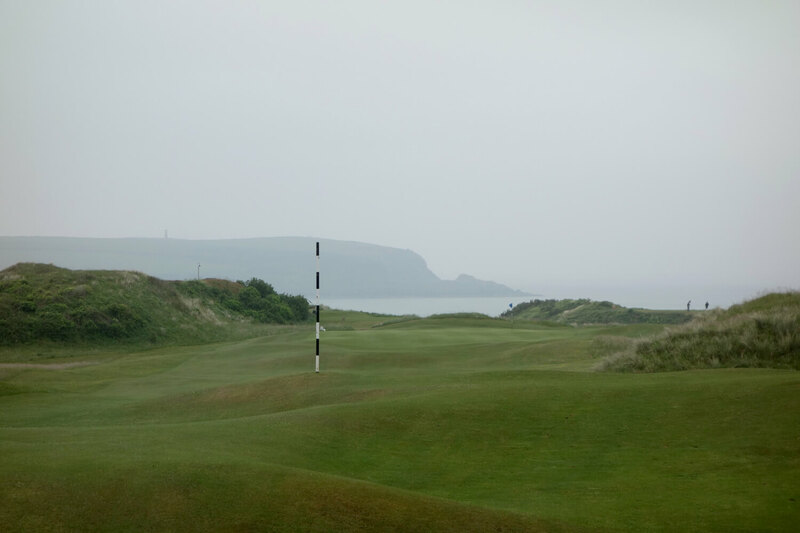 Hole #1 – 518 yards – The opening tee shot plays toward a marker post and only from that point is the green visible. 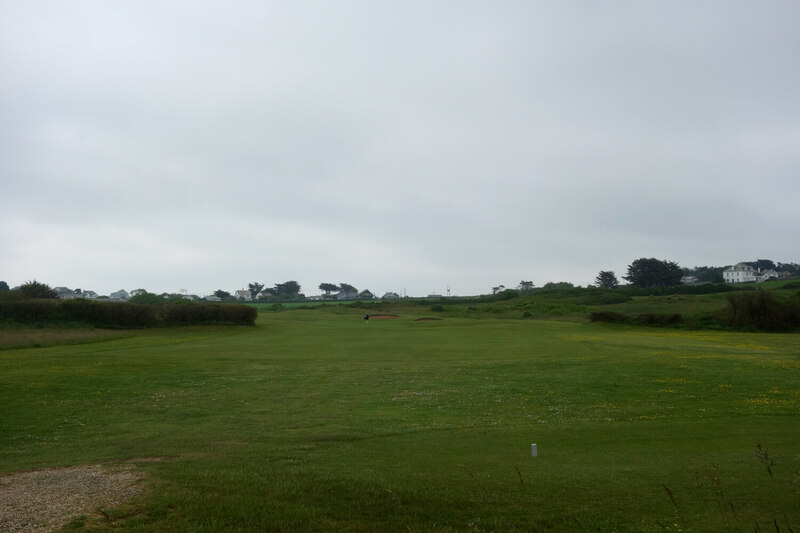 For a first time visitor, this hole is a fun three-shotter that’s a great intro to the quirky course. 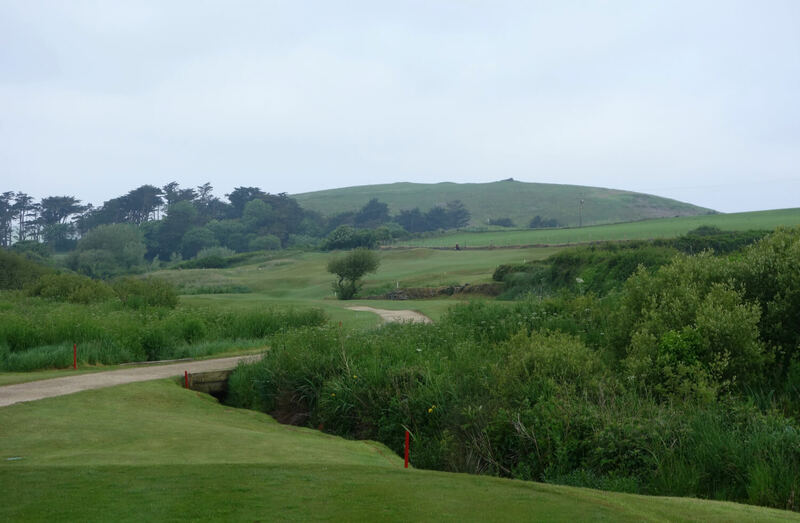 Hole #2 – 438 yards – This hole plays uphill to a green with a large false front. I played this up the right side (by accident), but next time I’ll stick to the left. 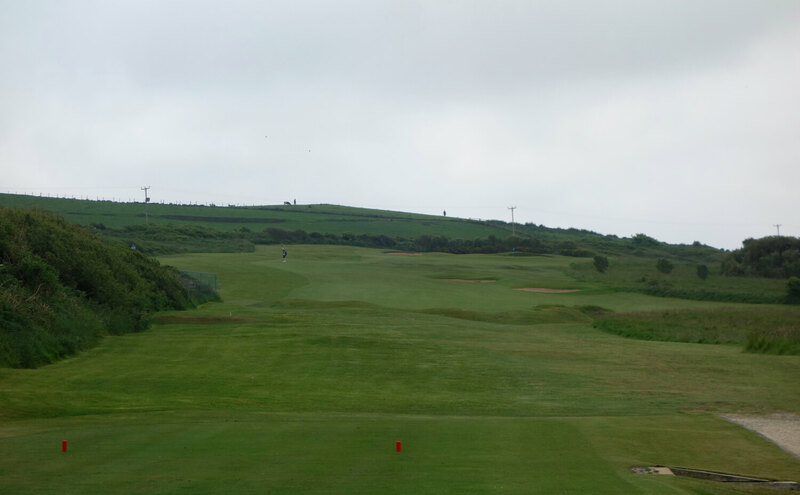 Hole #3 – 436 yards – The charm of St. Enodoc really takes off here. The tee shot plays downhill to an ancient stone wall that players must cross to reach the green. 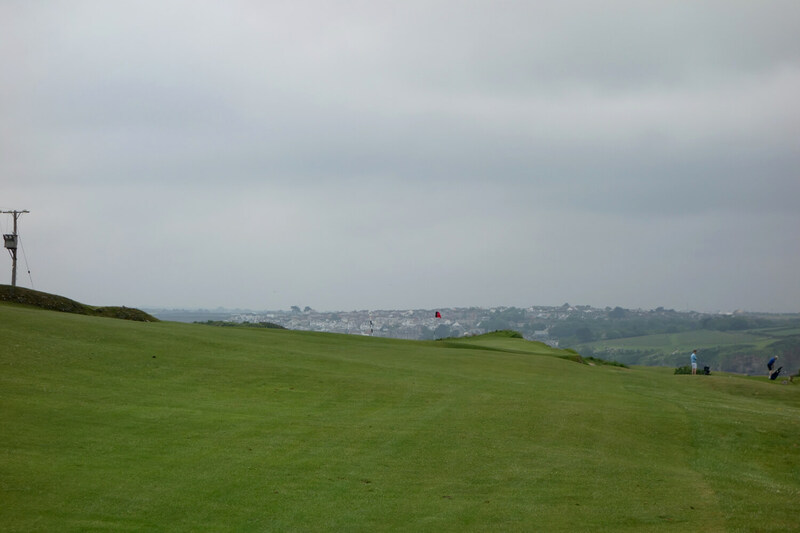 The hole is framed by beautiful Cornish hills. 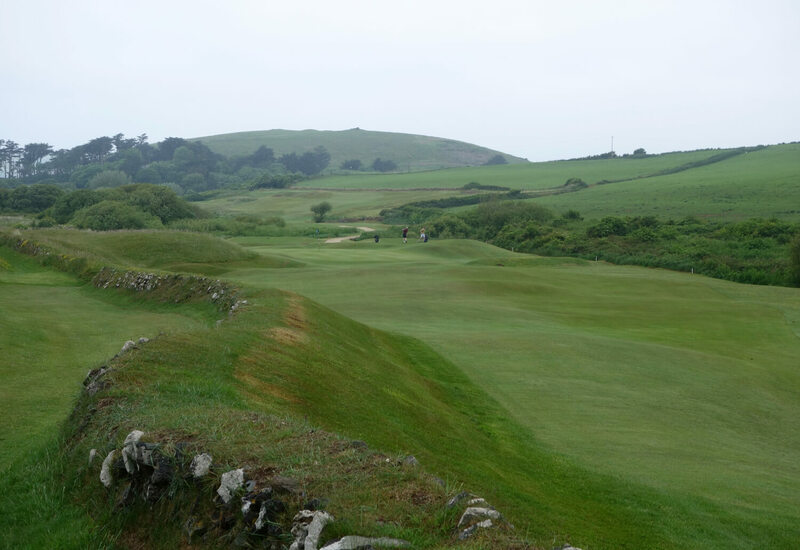 Hole #4 – 292 yards – This short par 4 plays longer than the yardage uphill to a green bordered by a stone wall. 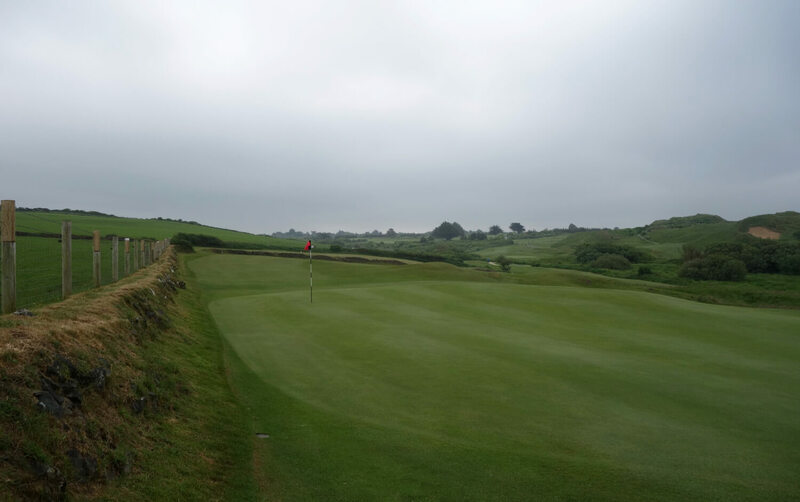 In the first photo below you see a player standing on the green short of the stone boundary wall. 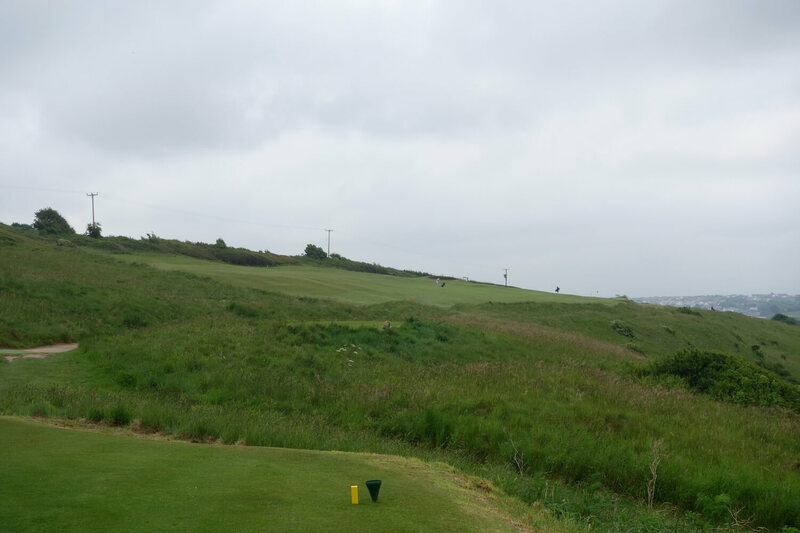 Hole #5 – 161 yards – The first par 3 of the round plays from one hillside to another. 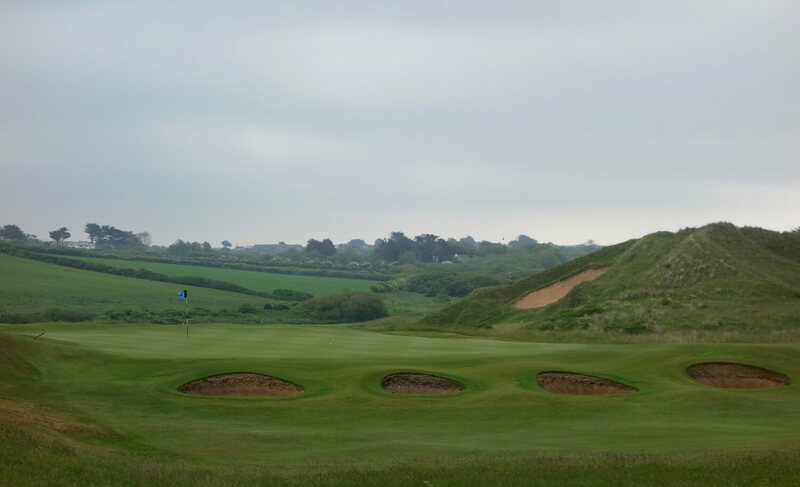 The hole is exposed to the wind and the large green can host a wide range of pin positions. 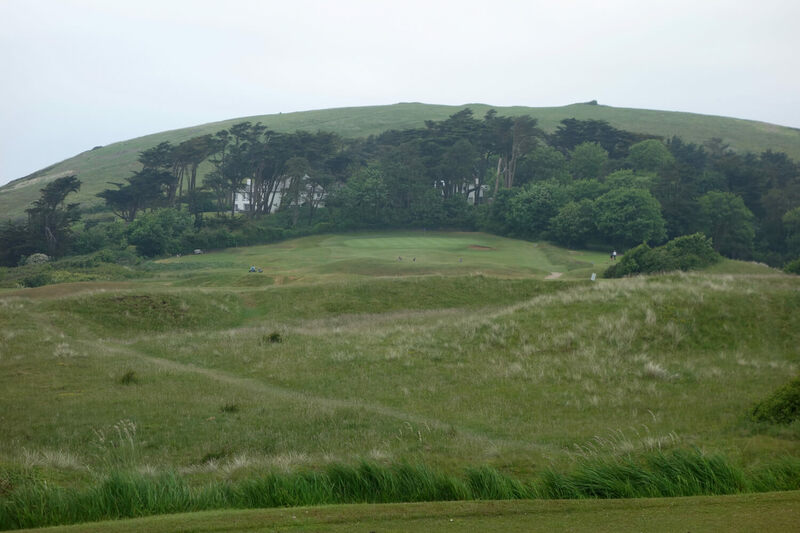 Hole #6 – 378 yards – When you hear St. Enodoc, this hole immediately comes to mind. The enormous Himalayas bunker is carved out of the hillside, and it obscures the green from the tee. From the very left edge of the tee box you can just see the green around the corner. 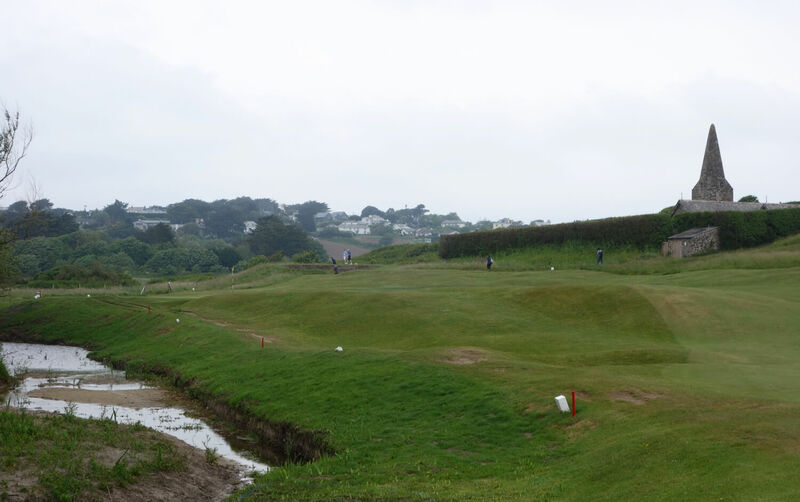 This hole requires some great strategic thinking in that the easiest tee shot plays out to the right, which leaves a much harder blind approach over the Himalayas bunker to the green. 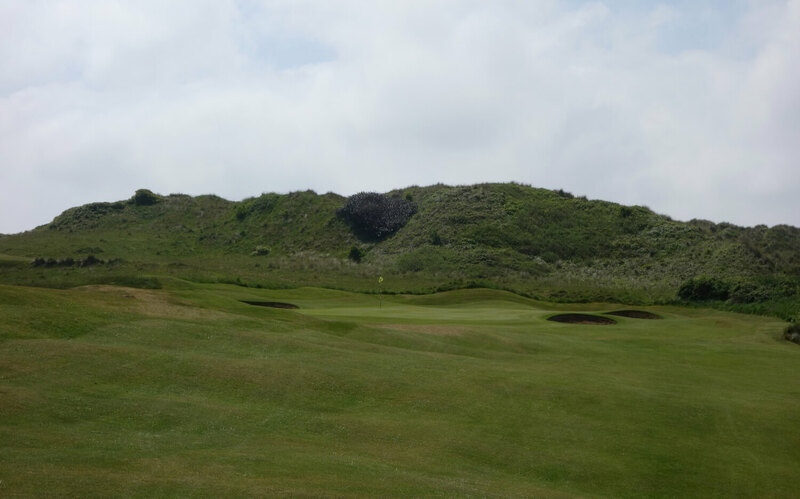 The harder tee shot plays down the left edge of the fairway close to the dunes, but leaves a much easier approach shot. 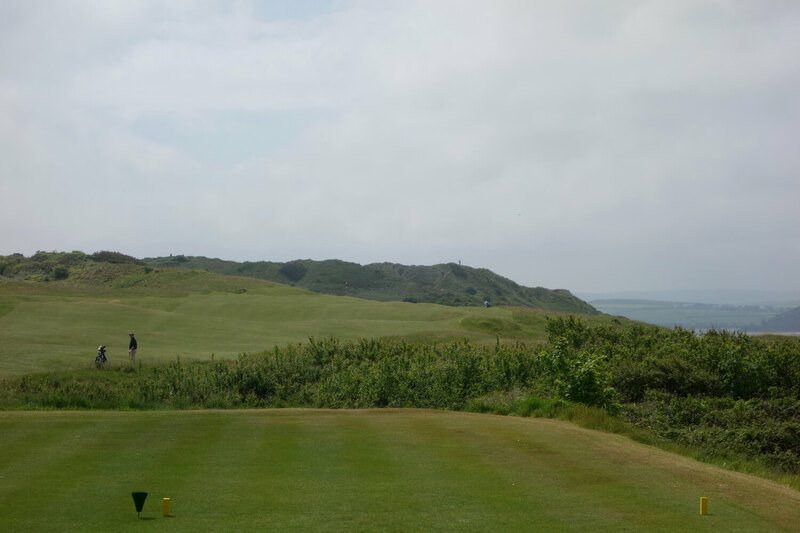 Hole #7 – 394 yards – The 7th tee is one of the highest points on the course and from the back tees it’s a sizeable carry to reach the fairway. In the distance is the Camel Estuary and town of Padstow beyond. 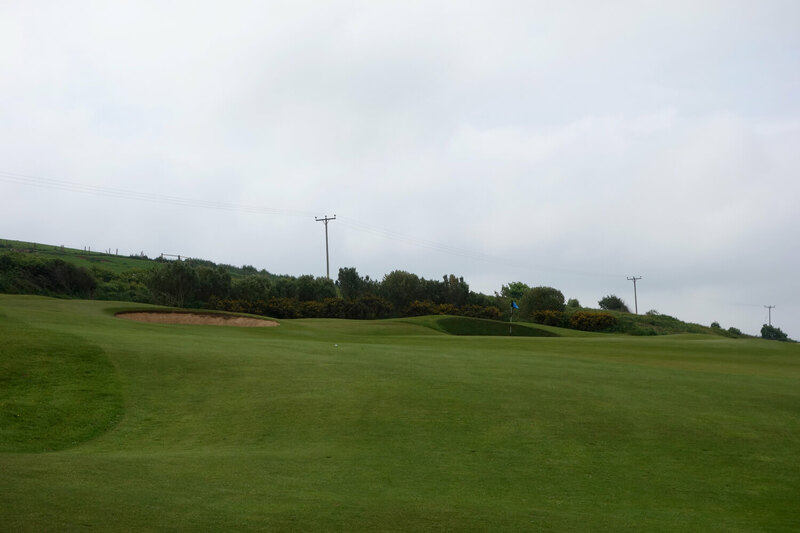 Hole #8 – 155 yards – This green is bordered by deep pot bunkers short, left, and right. 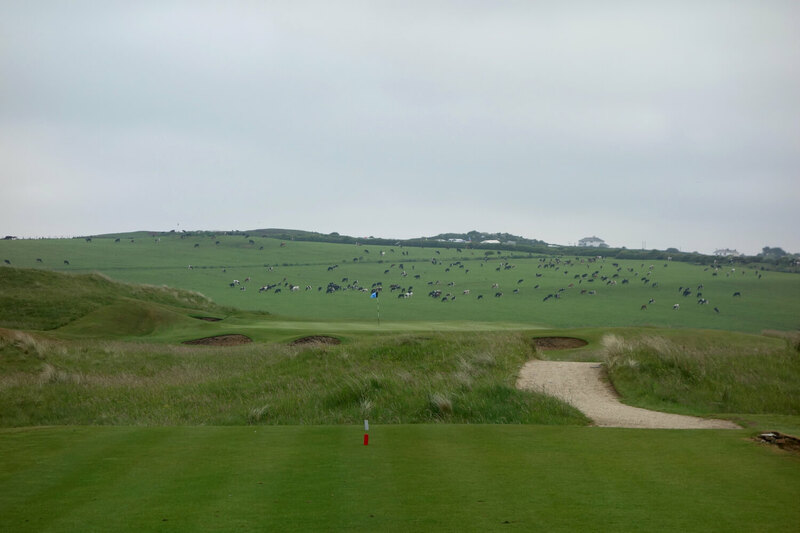 The Himalayas bunker is visible beyond the green to the right and the whole scene is framed by English hills covered in cattle – what a beautiful view! 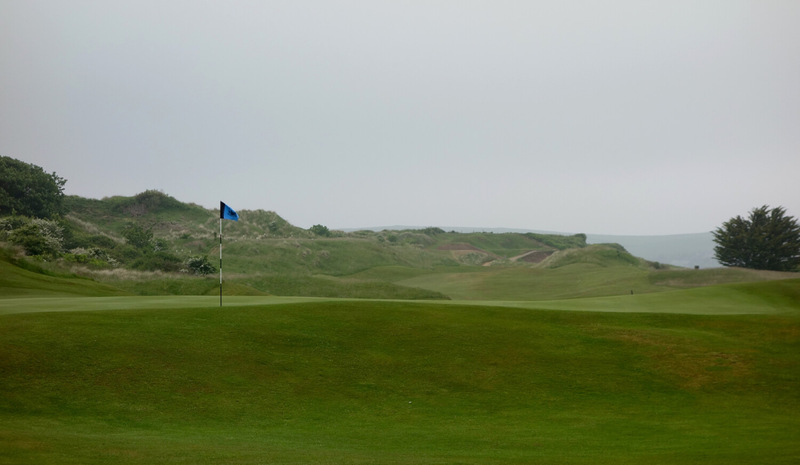 Hole #9 – 393 yards – The 9th is a downhill par 4 with a dune ridge about 250 yards from the tee. 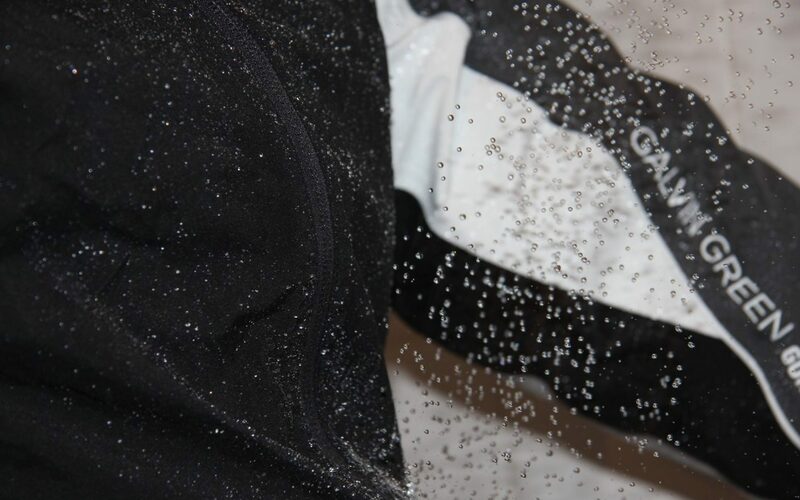 The ridge forces golfers to make a choice – do you try and carry the ridge with a driver or lay up short? The first photo below doesn’t do the entire scene justice, so be sure to soak in the second shot, with the Camel Estuary and ocean beyond. 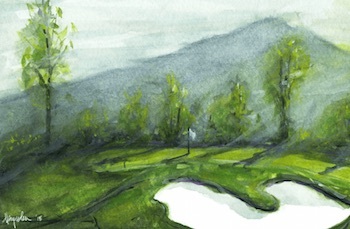 Hole #10 – 457 yards – The 10th snakes back and forth alongside a river and trees. 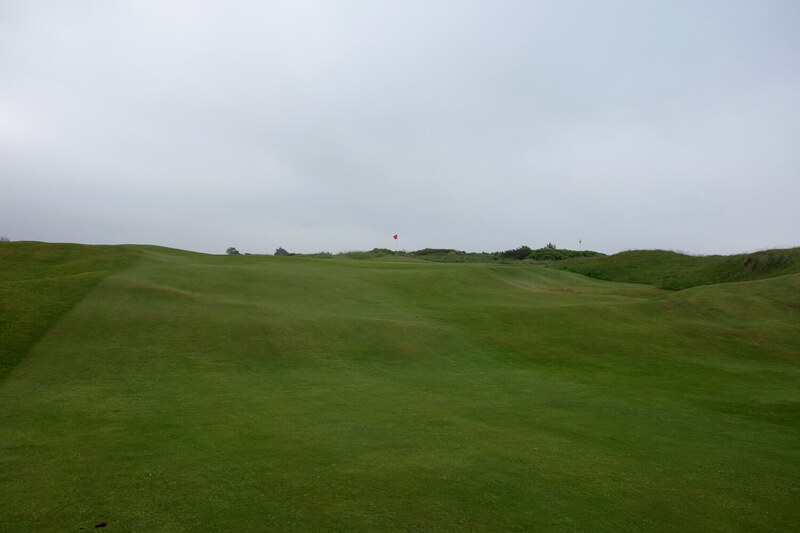 The fairway severely narrows where you see the player in the first photo below. 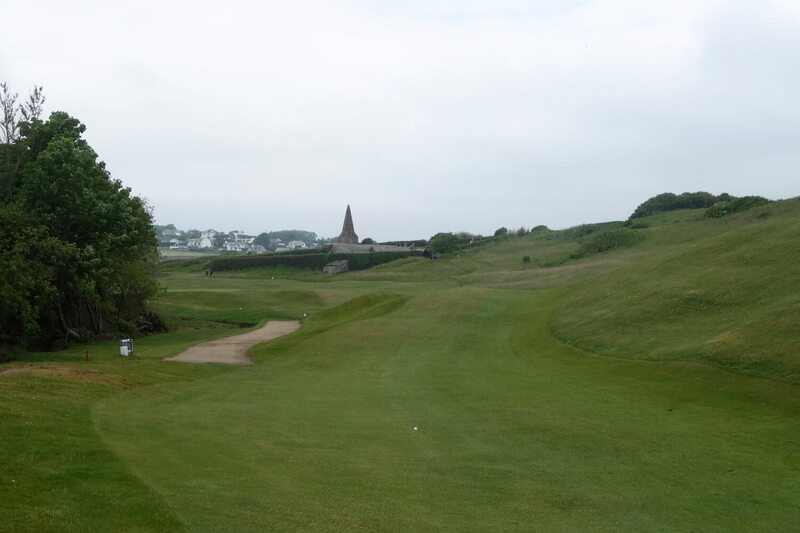 From there it’s a 165-yard approach to a green left of the famous St. Enodoc Church. 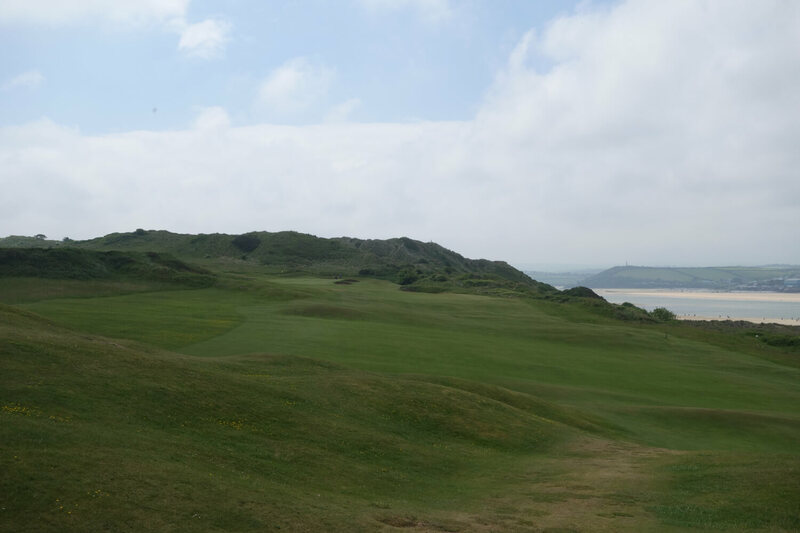 Hole #11 – 205 yards – The view on the 11th is stunning, but the hole doesn’t have the same movement and character that you find elsewhere. 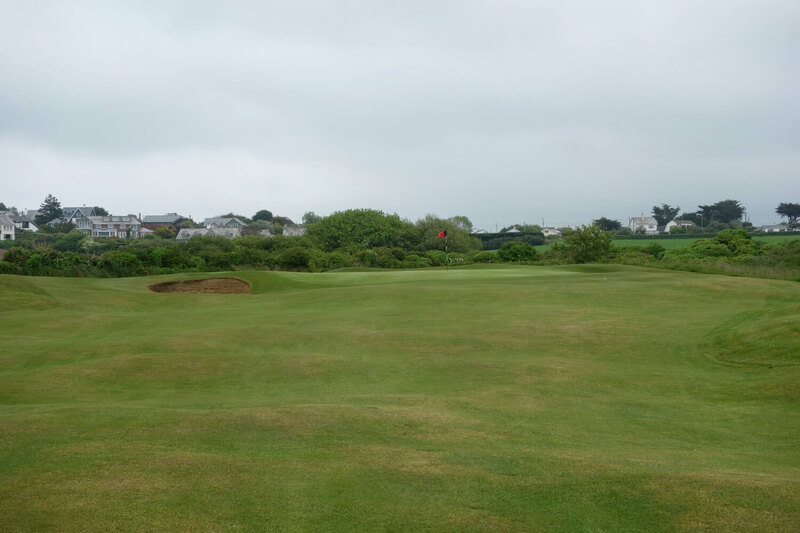 The green is large and flat with bunkers guarding front right. Hole #12 – 386 yards – The dogleg left 12th’s tee shot plays toward two bunkers from where the hole turns left and uphill to the green. This sections of the course feels less like linksland and more like a parkland hybrid of sorts. 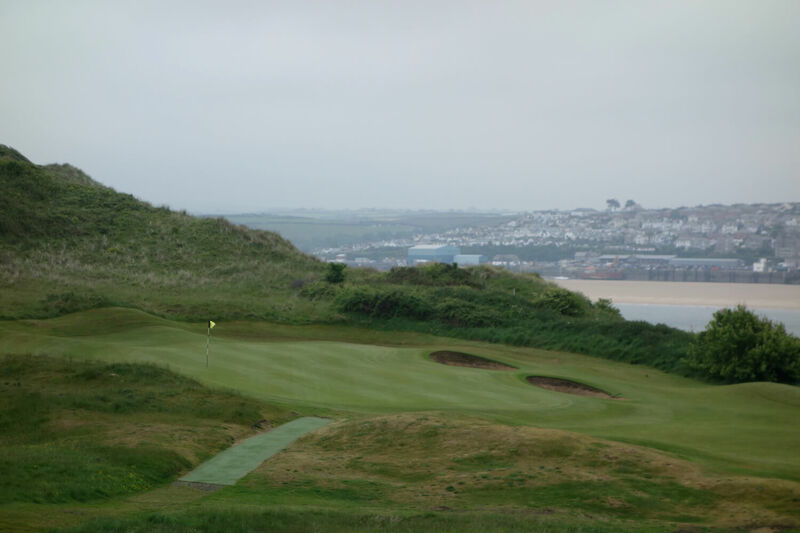 Hole #13 – 360 yards – The 13th runs up the hillside to a green carved into a flat area. Use at least one extra club on this approach shot! At this point in the round you get the best look at the famous St. Enodoc Church. I’ve already written about the church’s history in the intro section of this review, but when you see these pictures it really drives everything home. 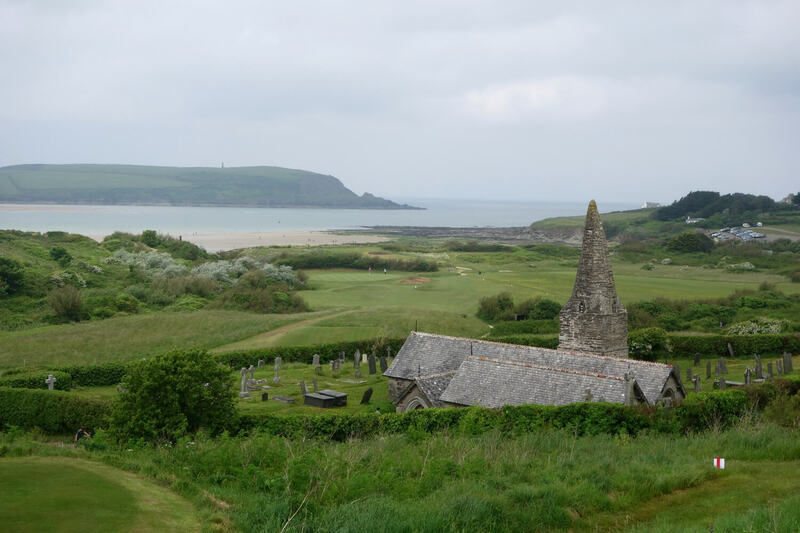 The view from the church is stunning, looking out the mouth of the Camel Estuary toward the Atlantic Ocean. 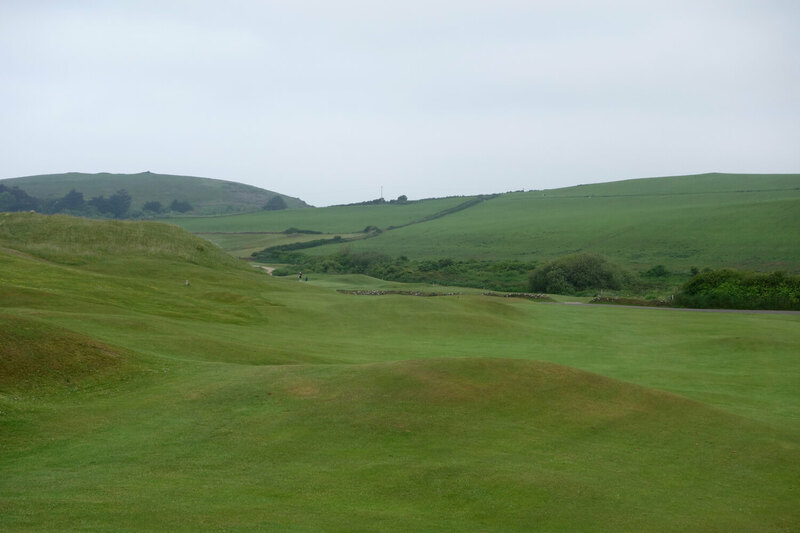 Hole #14 – 355 yards – The 14th traverses the hillside and leads to a very interesting green site. Instead of cutting the green into the hill, the right side of the putting surface is built up to create something flat enough for pin positions. 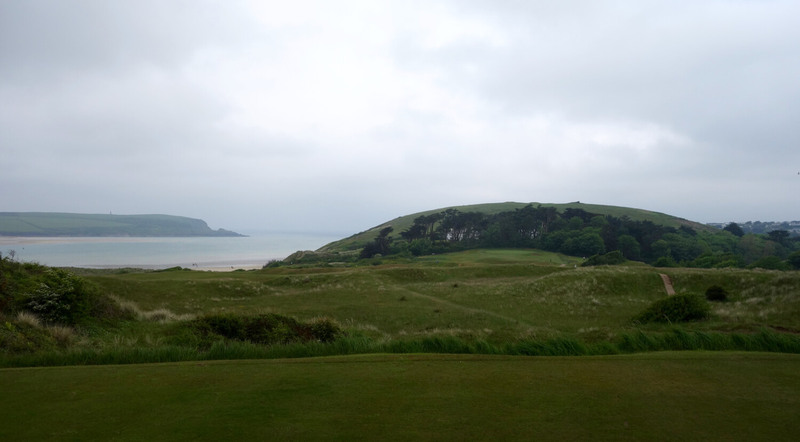 Hole #15 – 168 yards – The views just get better and better at St. Enodoc. The second par 3 on the back nine plays downhill to a medium-sized green. 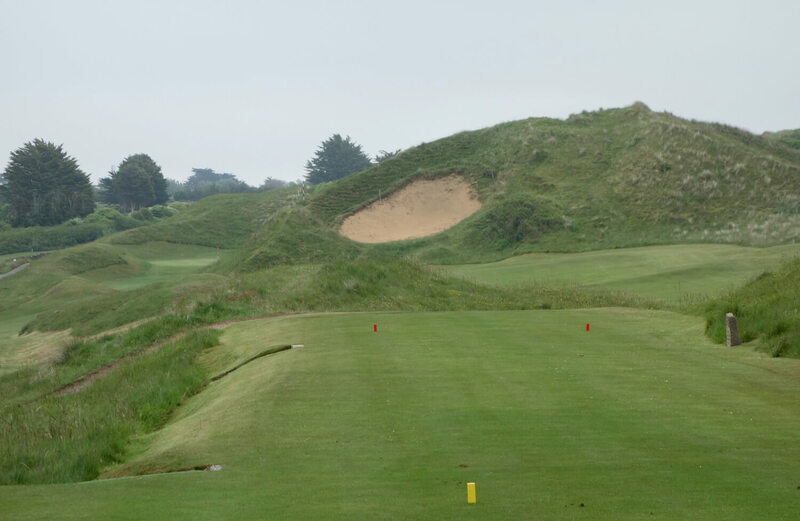 The 15th also represents the final hole in the stretch of less-traditional linksland. 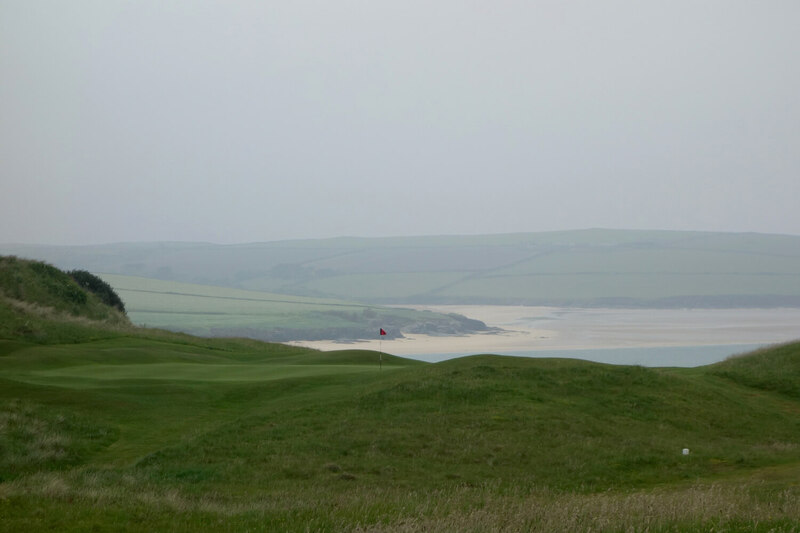 Hole #16 – 551 yards – The final holes at St. Enodoc play alongside the cliffs with the river and Padstow on the right. 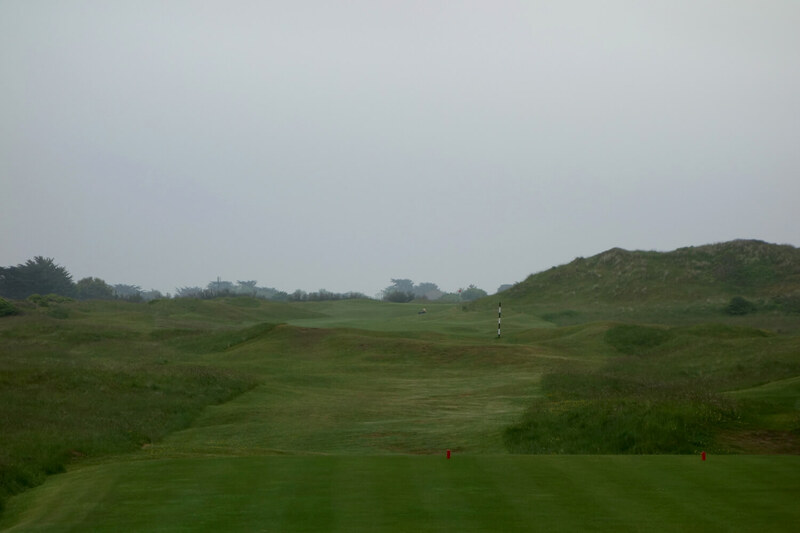 On the 16th, aim for the striped marker post off this tee and the fairway kicks everything back down to the right. From the landing area it’s an uphill stretch to the green. Hole #17 – 206 yards – The sun came out for the final par 3 of this round. 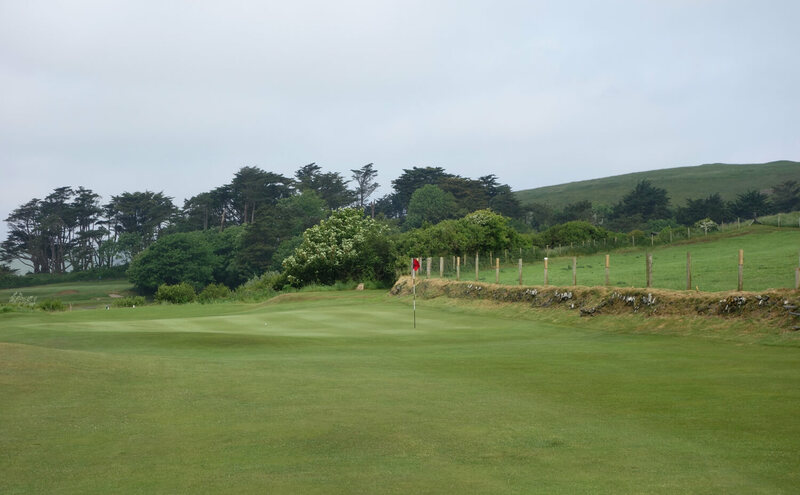 The hole plays at least a club longer up the hill and anything short likely won’t hop onto the green – you have to get it there! The view looking backward from the green is one of my favorites in golf. 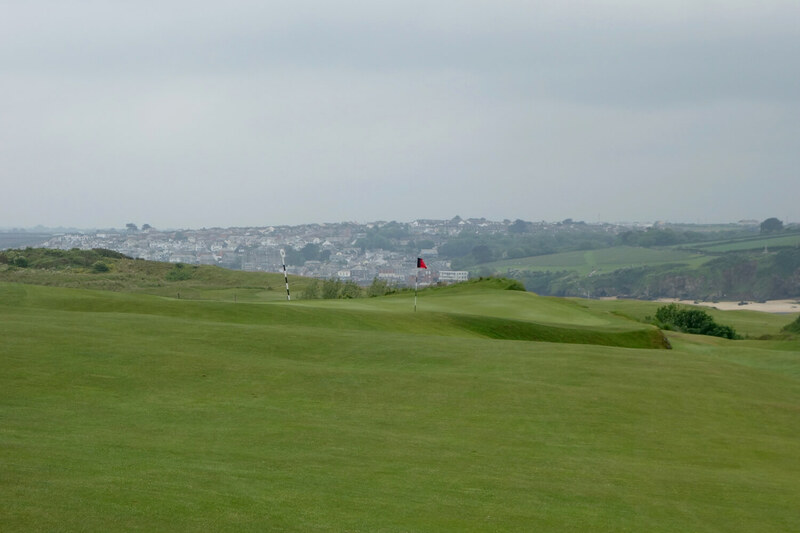 Hole #18 – 446 yards – The final hole plays downhill to the fairway and back uphill to the green. 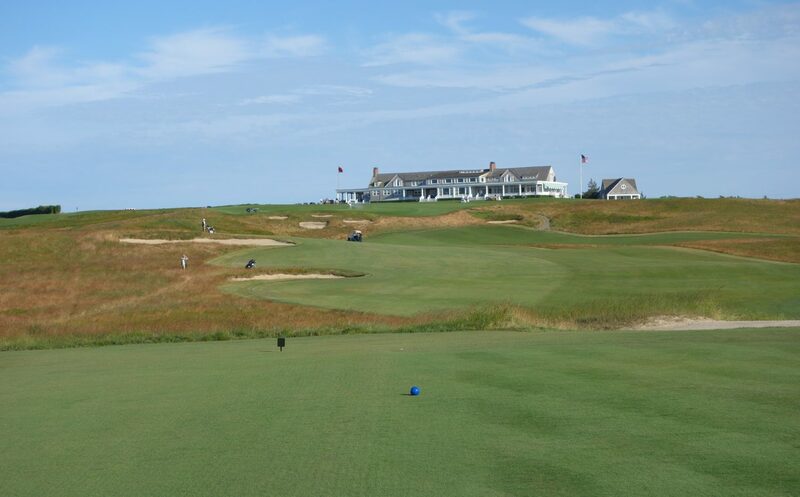 The clubhouse stands behind this green where, as with so many great clubs, the bar overlooks the 18th green and players can watch players finish. Following the round at St. Enodoc we left our car in the parking lot and walked down to the beach in Rock, the village adjacent to the course. 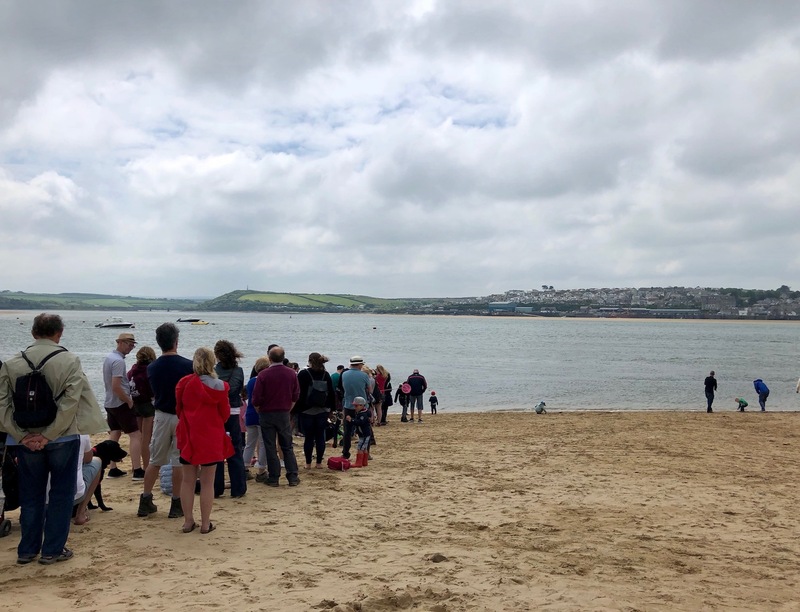 From there, a small ferry picks people up from the beach and takes them across the river to the village of Padstow, which is quintessentially English. We took the ferry across and had fish and chips in the charming town. (Be sure to have cash for the ferry – it’s only a few pounds, but they don’t take card.) 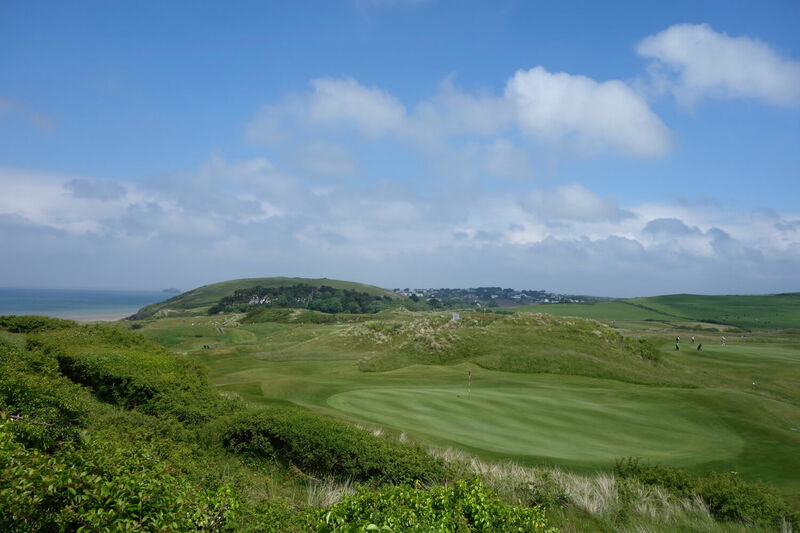 A round at St. Enodoc followed by lunch in Padstow has to be on the best days in golf – and certainly one of the most English you’ll find. 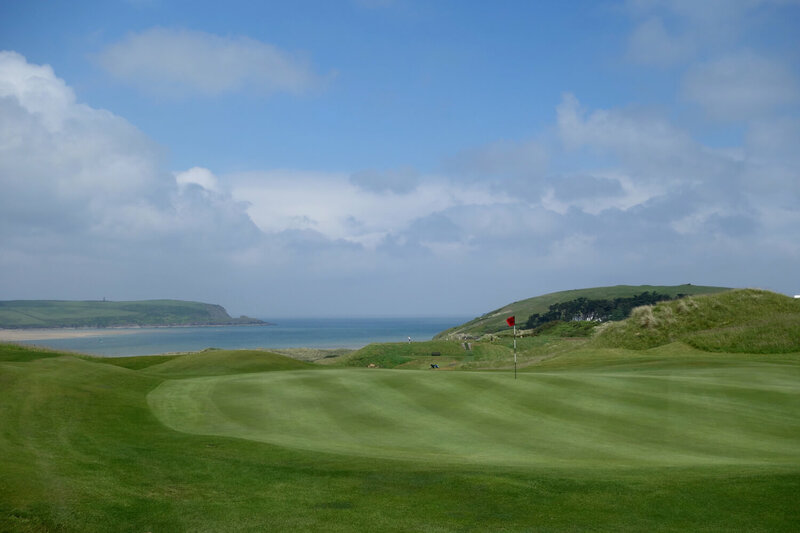 St. Enodoc should be on the compulsory to-play list for any links-loving golfers. 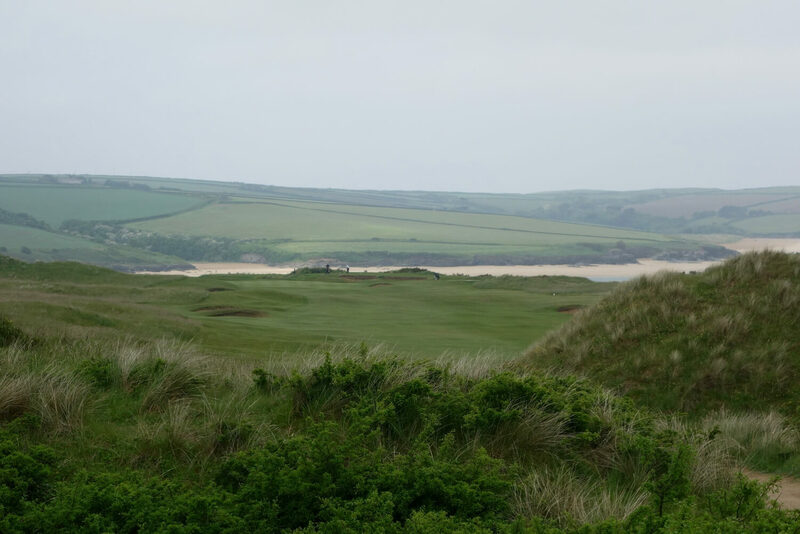 If you like Cruden Bay or North Berwick, you will find heaven on England’s Cornish coast. Take the time to visit and soak in the place and if you can tie in that lunch in Padstow, all the better. 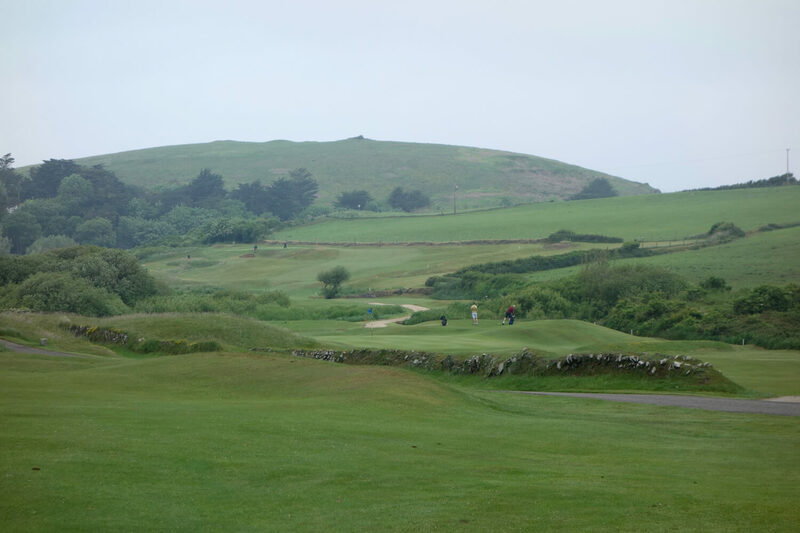 In April of this year I went to play St. Enodoc specifically because of Tom Doak’s review in the Confidential Guide to Golf (2nd edition). I fell in love with the golf course, club, town, and area. It was all I could do not apply for international membership. We stayed a week and I played the course 3 times. Very nice review. Our experiences were very similar. During my morning round, the wind was no more than a one-club wind. 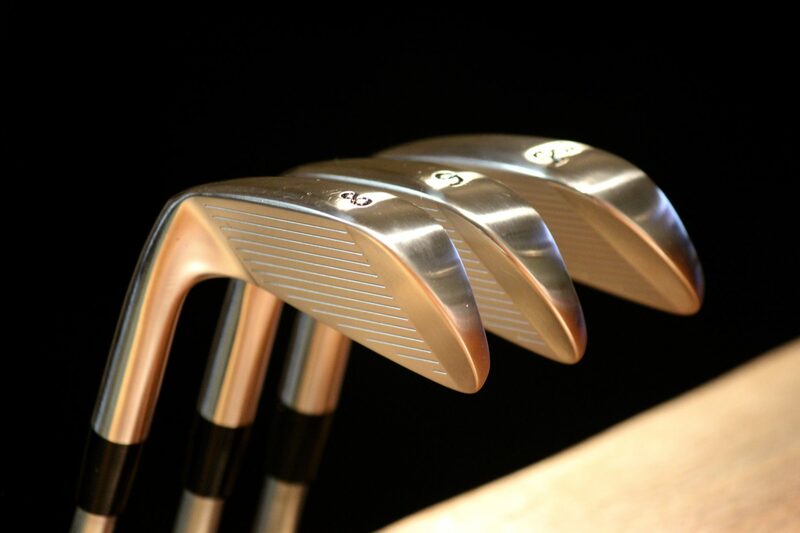 But, during both my afternoon rounds, I it blew between a 2 and 3 club wind. On my last afternoon, I was joined by a member and his son. I remarked about the difference in wind conditions. 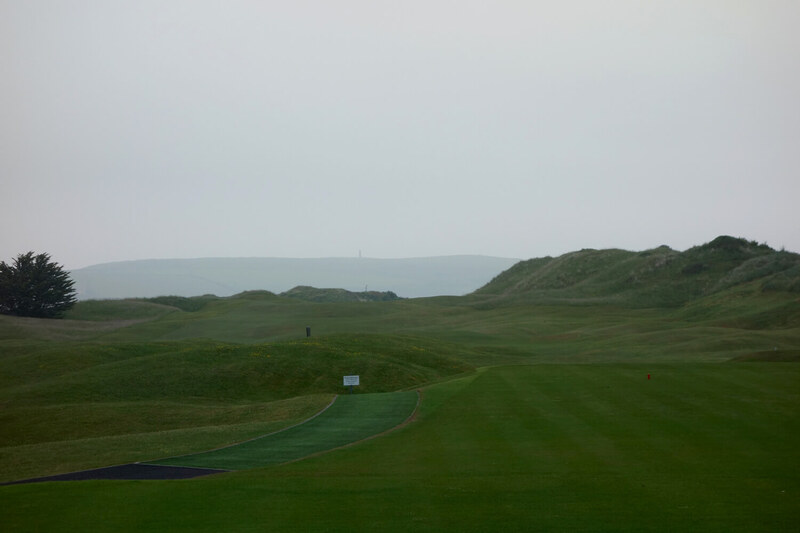 The father said that like most Brits they had waited for the wind to blow before coming to the course. I thought that most of my American friends would either not play or complain about the wind. Just another example of how the English know how to enjoy a proper golf game. Great review Graylyn. St. Enodoc has been on my list for a few years, your description and compatibles has cemented it. High praise indeed. to St Andrews Thursday next week. condo two blocks from the Old Course. Hi Jeff, you guys will have a blast! I struggle to call these courses second tier, but they are less expensive and could qualify as “lesser-known” for sure! I’d look at Crail (Balcomie), Elie, Panmure, Lundin Links, and Leven Links. All are great options!